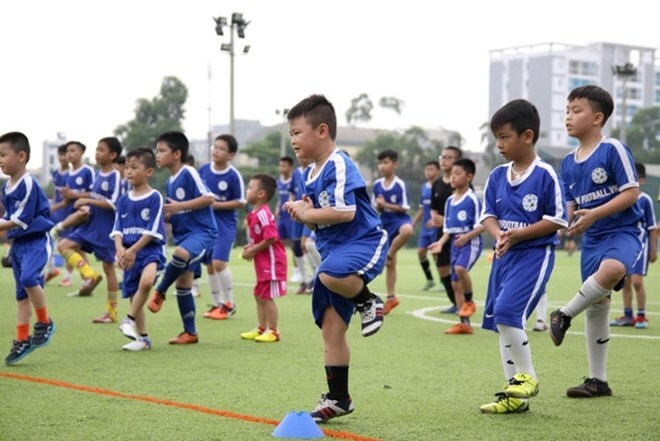 HCM City (VNA) - Over 4,000 children, coaches, managers and referees from 344 football teams will join Football for All in Vietnam (FFAV) in the central province of Thua Thien Hue on July 28-29. Chau Hong Tinh, head of the FFAV project’s communications, said 207 teams in the under-11 age category and 128 teams in the under-15 and under-9 categories, featuring disabled children, will take part in the annual festival for children. FFAV said the teams, whose players come from SOS villages in Ben Tre, Lam Dong, Gia Lai and Da Nang, as well as Quang Tri, Quang Binh, Nghe An and Thanh Hoa, along with Dien Bien, Thai Binh and Thua Thien Hue, will compete in football matches and joint life skills activities during the four-day festival across six pitches.